The Sony RX100 series is arguably the most decorated products in the market of compact digital cameras. The original as well as the iterations have become best-selling models and even won several awards. Two of the most affordable models in the series now are, of course, the original Sony RX100 and Sony RX100 II. So, which one of the two models does provide the best value for the money? Below, we will see the comparisons between Sony RX100 vs RX100 II to help you choose the best compact digital camera for the money! First of all, let’s compare the dimensions of these two models. In a glance, they may look identical. But there are some minor differences. Sony RX100 II is actually a little bit thicker than the original Sony RX100. Don’t worry, though; the additional thickness is just about 2 mm. Most probably, you will not notice the added thickness. In addition, the newer model also has a slightly heavier body. Now, this difference is more noticeable, but this is nothing dramatic. 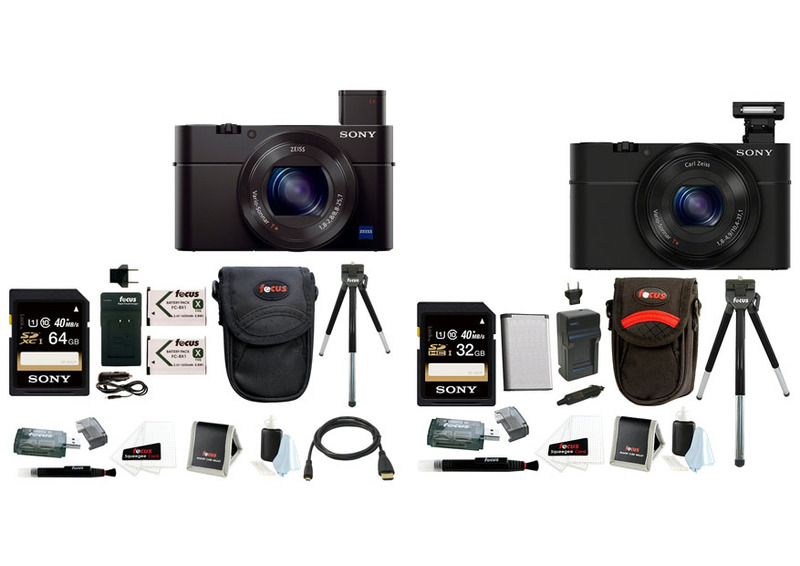 The original Sony RX100 is 240 grams, whereas Sony RX100 II is 281 grams. For a very slim camera, take a look at Samsung NX Mini vs Sony RX100! There are two great changes on the newer model regarding the design and display. The first thing is the external hot shoe, which is very handy and practical for attaching an external accessory such as a flash. The original model does have a built-in flash, but the lack of a hot shoe may make it tricky to work with additional accessories. Secondly, the original Sony RX100 has a three-inch fixed display. Sony RX100 II comes with a three-inch tilting display, which will allow you to take shots from difficult angles more conveniently. You can also take selfies more easily with the tilting display! Another welcome addition comes in the connectivity sector. The original does not have Wi-Fi. Sony RX100 II comes with built-in Wi-Fi which makes transferring photos and videos to your mobile devices so much easier. While most photographers don’t really mind about not having Wi-Fi, the feature is to be appreciated if exists. Finally, the biggest difference between Sony RX100 vs Sony RX100 II is the image quality. Although they have the same resolution, which is 20.1 MP, they actually use different image sensors. The original Sony RX100 works with a regular one-inch CMOS sensor. While the performance is pretty good, the ISO performance and brightness are not impressive. It struggles very much in a low light condition. Even from ISO 3,200, it already has lots of noise. Apparently, the company is aware of the problem, which is why Sony RX100 II comes with an improved image sensor. It features a backside illuminated (BSI) CMOS sensor. The backside illumination greatly improves the ISO performance and brightness. At ISO 3,200, there is still very little noise. The maximum ISO has also been increased from 6,400 to 12,800. In the end, we recommend you to choose Sony RX100 II. This iteration comes with multiple improvements from the original. It comes with a hot shoe, a tilting display, and Wi-Fi. The biggest factor is the better sensor, which delivers more usable ISO performance.